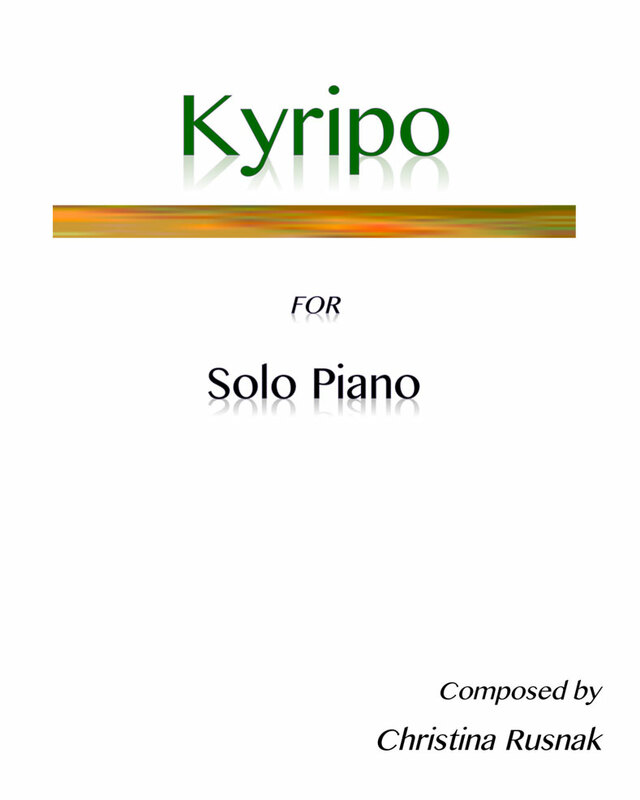 Kyripo, for solo piano existed in my fingers long before it emerged on paper. It began as an improvisational work exploring shifting modal harmonies and symmetrical movement. Without any programmatic impetus, the piece evolved over time resulting in a balance of contrasting lyricism and gesture. While the tonic strongly suggests Phrygian mode, the triadic implications of the various modes is intended to engage the listener and keep the piece from conforming to its expected idioms. Kyripo is one of my favorite pieces.